Rapid Palatal Expander appliances provide maximum sutural separation space of up to 13mm in a minimum period of wear. Each turn of the activator screw produces approximately .2mm of lateral expansion. 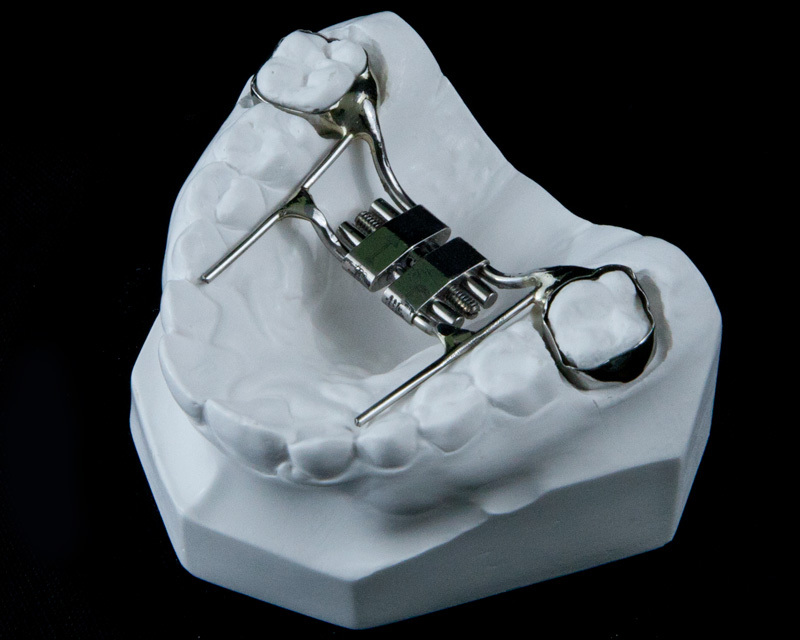 Our standard design is two-banded, but a four-banded Rapid Palatal Expander appliance is also available.